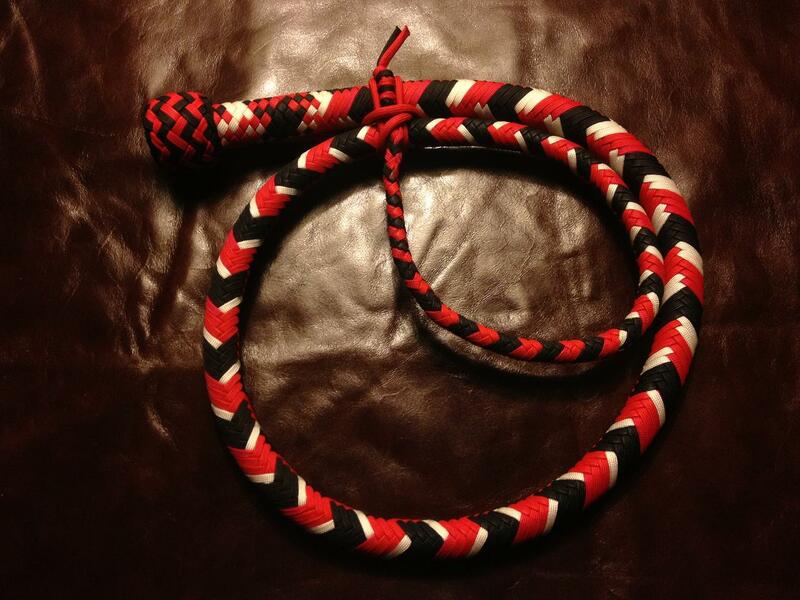 A stunning premium snake whip themed after Harley Quinn in black, red and white. 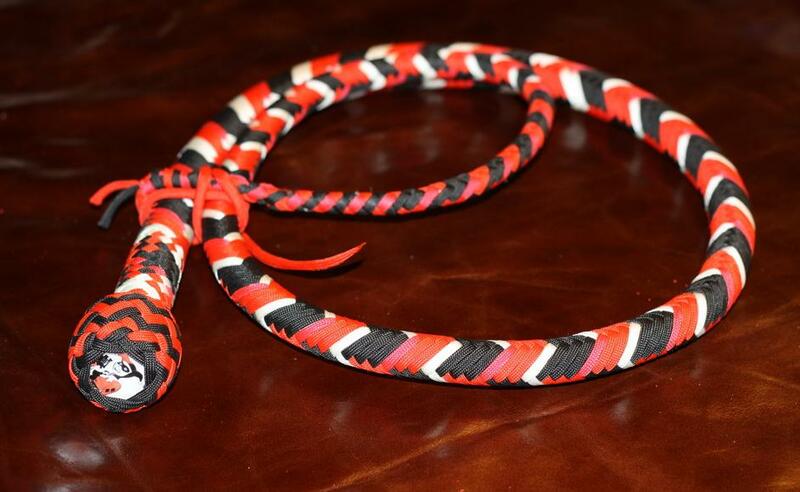 We have finished this unusual whip with a glass Harley Quinn character concho. Constructed with a leather shot bag core, back filled with #15 lead shot. 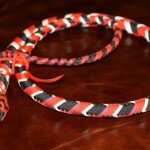 Leather bolster and 10 plait belly, with 16 plait overlay. Available in 3 foot, 4 foot, 5 foot and 6 foot. 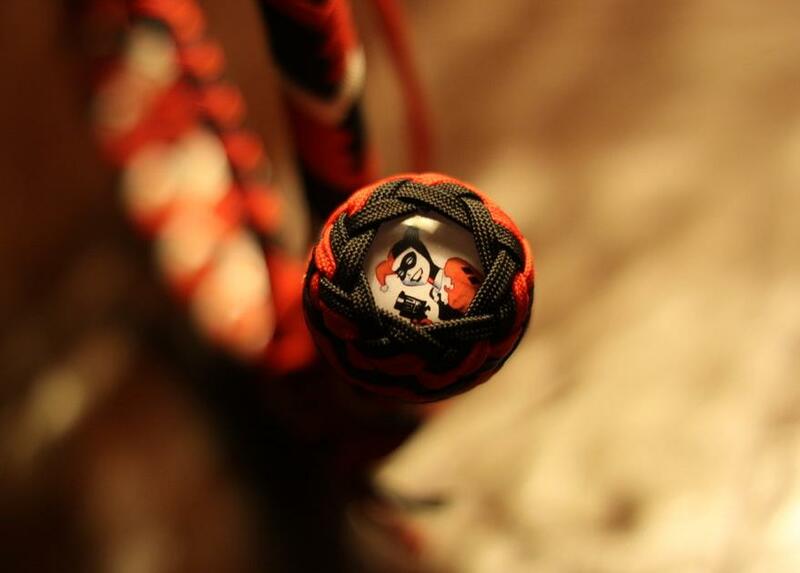 If you’d like this theme with a different whip size or style, add our Harley Quinn concho and your whip of choice from our custom range. Handmade to order, please see our delivery information page. 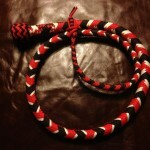 Be the first to review “Harley Quinn Snake Whip” Click here to cancel reply.